What a great day. It’s gonna be another scorcher though. It’s really hard to get garden work done when it is so hot, but things gotta be done right? Yesterday, Hubby and I stacked up several more tomato plants, they are getting huge already and we have tons of green maters just waiting to turn red,or yellow. I also potted up about a dozen to sit around the yard and on the porch. I planted another dozen or so the other day in the garden. I also pulled all the broccoli out,it was starting to send up flower shoots, go make room later for more cabbage and lettuce, for a fall crop. My peas and squash plants are also taking off like crazy. I figure I am going to have quite and few things to sell in a few weeks. I am going to church camp next week as a counselor, and I am hoping things will be ready to go by the time I get back. It’s going to be hard leaving for camp this year. With the chickens and this huge garden, I just hope the boys and Nick can keep up with everything that needs to be done. Silly me wasn’t thinking and I have about 20 eggs that are supposed to hatch on Monday. Yep the day I leave. Duhh….. 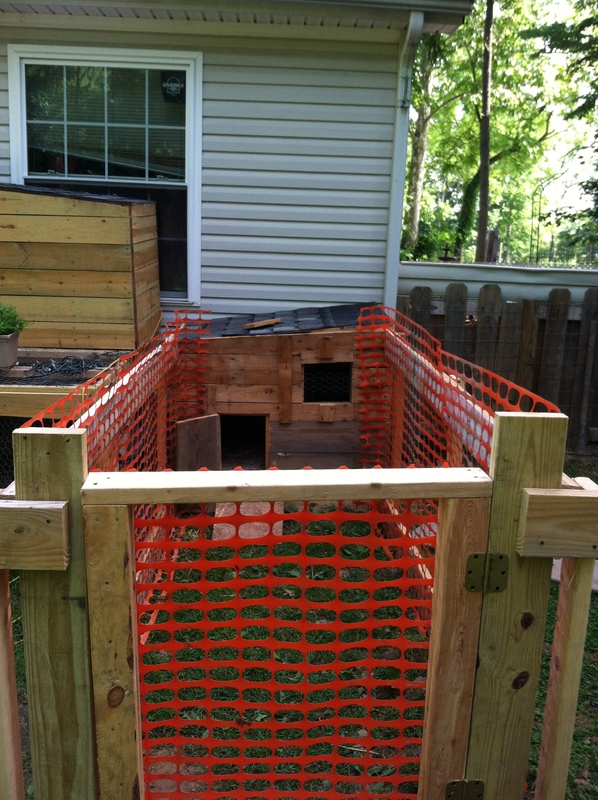 I am going to have to teach the boys and Nick what to do with the new chicks (if any hatch) and stuff. I’m just going to have to trust them. The boys are actually on a mission trip till Thursday, so all the teaching will have to be done over the weekend. Keep your fingers crossed all goes well.